Duval Street is the main drag. It runs northeast to southwest and it is the Bourbon Street of Key West. I definitely recommend renting or bringing a scooter or a bike for at least 24 hours. Obviously you need to be safe and ride defensively, but I find it to be the best way to see the island. Be aware of your drinking and driving of course. -Virgilio’s is a one of the best bars to hang out at. -Irish Kevin’s a fun bar w live music. 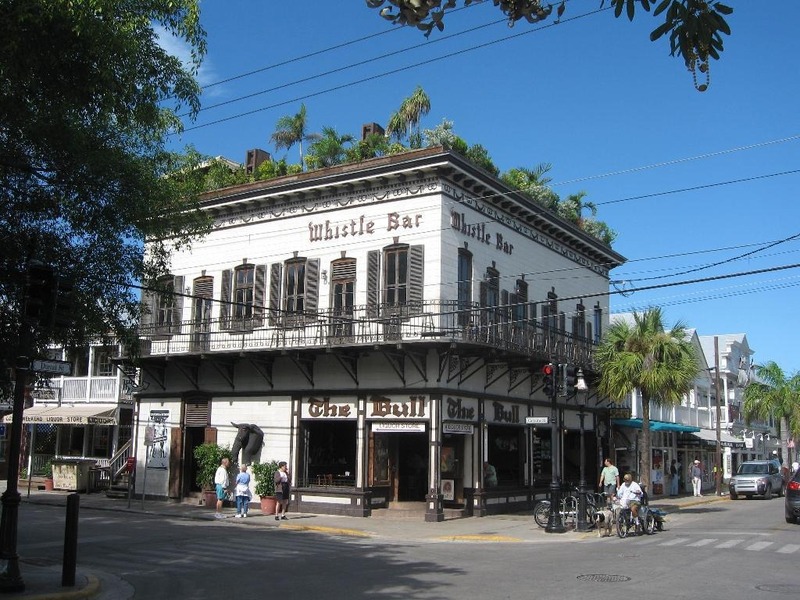 -Sloppy Joe’s is the most famous bar in Key West. Good central location and music. -Rick’s is the place to dance in Key West. It can be kind of a meat market, but that comes with the territory. -The Bull. The wrought iron upstairs balcony is very New Orleansesque and a fun place to people-watch. -Top floor of The Bull is a bar called the Garden of Eden. Fun place with a crazy vibe. Clothing optional, which brings a new meaning to people-watching, so keep that in mind. -The Monkey Bar is across the street from The Bull. Our favorite outside bar. -Hog’s Breath is a famous and fun bar. Good for people-watching and watching sports. 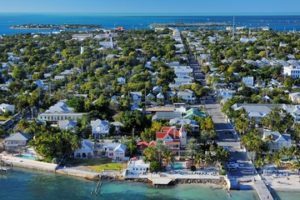 -Schooner Warf is my favorite area of Key West. It’s also the name of a fantastic local bar on the water. There’s a eally good happy hour and oysters on the half shell. -BO’s Fish House is in the Schooner Wharf area. It’s rustic and outdoor. They are known for their great fried grouper sandwich. Be sure to put Key lime may on on it. -Conch Republic. Get the royal red boiled shrimp with dipping butter. Very few places have royal reds. They are netted from thousands of feet deep in the Gulf and amazing to eat. -Turtle Crawls and The Raw Bar. Also on Schooner Wharf. Next-door to each other. Both great places to eat, drink and bring your catch to be cooked. -The Pier House is a cool place for drinks and appetizers on the water at the end of Duvall. 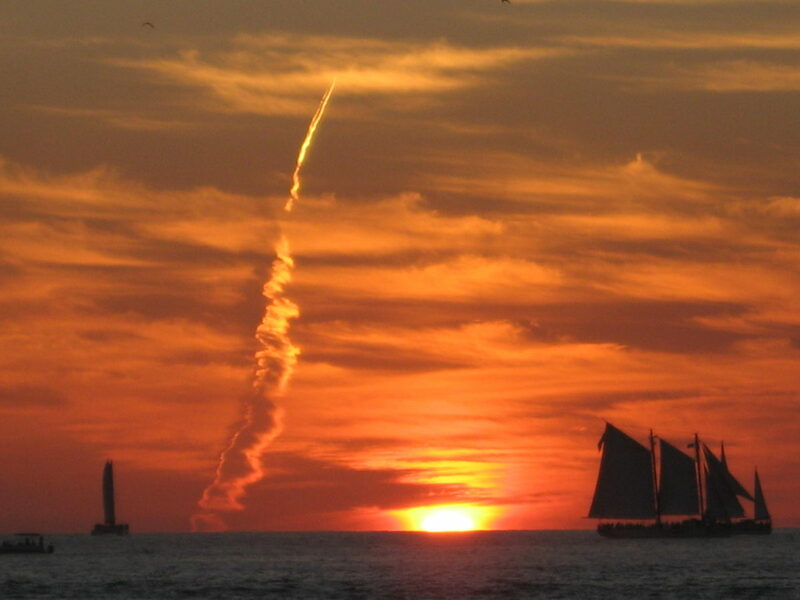 -Mallory Square is the place to go for sunset celebration. Lots of live performers, arts and crafts, vendors, etc. -La Concha roof top. Best view of the city. Cool place to look out in the late afternoon and sunset. Of course there is a bar up there as well. -Mel Fisher’s Treasure Museum gold, jewels and treasure from The Atocha, the richest shipwreck ever found. -Smather’s Beach for some local color. -Key West Graveyard very unique, historical site with some very interesting headstone inscriptions.